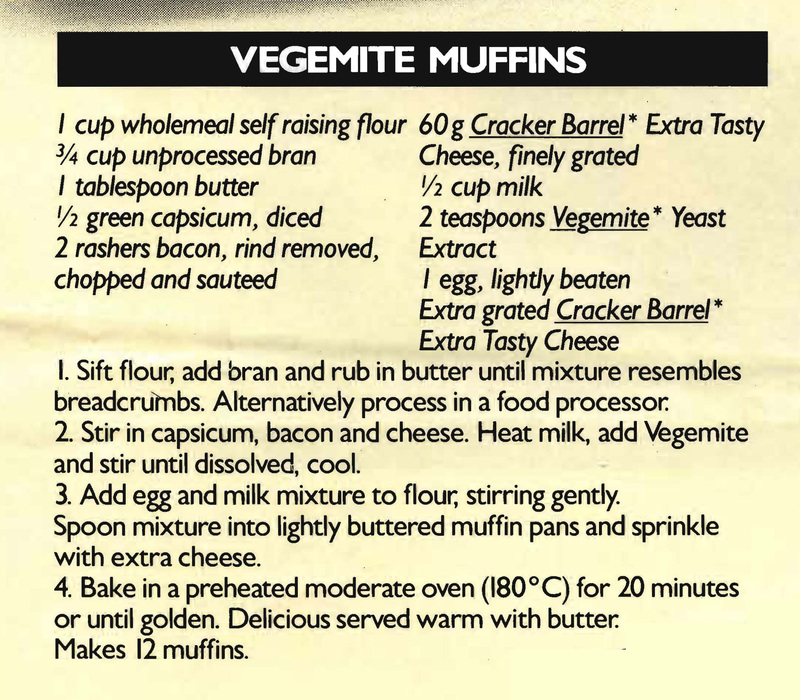 My apologies for the picture with this recipe, Mum cut the picture in half so it’s the best I could do. I thought it worth putting in to show the texture of the cake – the banana is quite chunky. 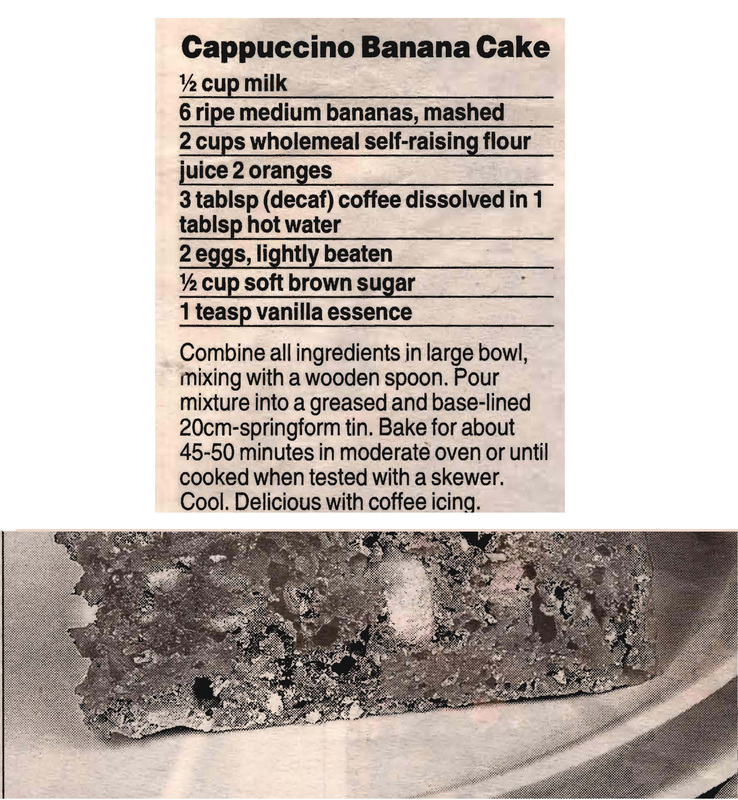 That together with the wholemeal flour and coffee makes it quite a different banana cake. 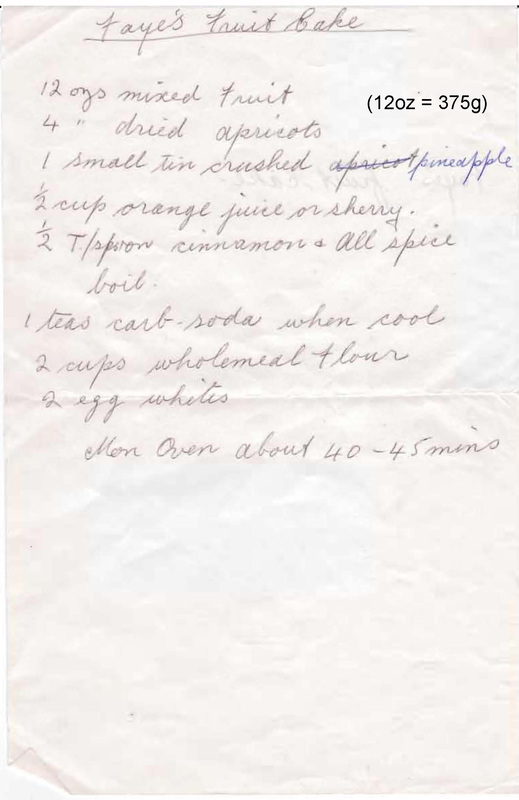 The wholemeal flour in this fruit cake means that this isn’t at a traditional Fruit Cake, but it has heap of flavour and is nice and quick to make.